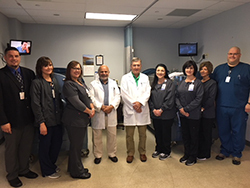 The Wound and Hyperbaric Oxygen Therapy Center provides some of the region’s most advanced treatment options for patients with wounds that don’t heal. 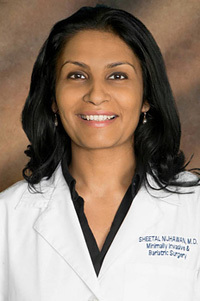 Our multidisciplinary team of dedicated doctors and nurses are committed to using the most up-to-date approaches to wound healing and wound care. With Hyperbaric Oxygen Therapy, patients breath 100% oxygen at an increased atmospheric pressure while watching TV, movies, or taking a nap. This treatment is very beneficial when used in addition to standard wound care and/or infection control. Our patients have a 96% success rate at meeting their physician assigned healing goals during therapy, and has been proven beneficial for indications such as Non-Healing Diabetic Wounds, Chronic Bone Infection (Osteomyelitis), Delayed Radionecrosis such as Radiation Cystitis, Radiation Proctitis, or other delayed soft tissue radionecrosis symptoms such as dry mouth, difficulty swallowing, pain, radionecrosis of the mandible, etc. Hours: Monday - Friday; 8 a.m. - 4:30 p.m. Most treatments are covered by Medicare, Medicaid, HMOs and other private insurance plans.